Elodie journeys to the town of Two Castles to become a mansioner -- an actress -- but the master of the troupe turns her away. Brilliant dragon Meenore takes her in, then sends her on a dangerous mission within an ogre's castle. There, disguised as a kitchen maid, she plays the role of a lifetime, pitted against a foe intent on murder. Black-and-white cats, a handsome cat trainer, a greedy king, a giddy princess, a shape-shifting ogre, a brilliant dragon . . . Elodie must discover which of them is kind, which is cruel, and, most of all, which is the one who deserves her trust. 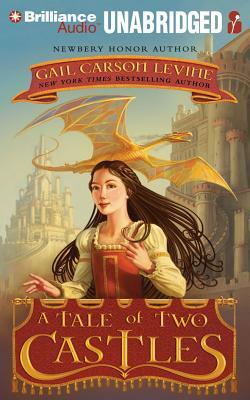 Newbery Honor author Gail Carson Levine weaves an entrancing tale of a fearsome ogre, a dragon detective, and a remarkable heroine who finds friendship where she least expects it, learns that there are many ways to mansion, and discovers that goodness and evil come in all shapes and sizes.